I’ve never been comfortable with self-promotion — despite the fact that social media sites have turned boasting into an art form. So, I’d like to point out that this post isn’t solely about buying my book as a holiday gift this year. I’m also hoping you’ll buy dozens of other books, or at least consider the gift of reading for the folks on your list. Books deliver information and entertainment. They introduce us to different worlds, expand our viewpoints, increase our understanding of others and ourselves, and even provide stress relief. Anyone who’s ever curled up with a riveting novel on a wintery afternoon knows that reading is the next best thing to a real vacation. Even if you don’t purchase my book for your loved ones, please ask your favorite bookseller to help you match another book with their interests, or consider gifting them with a classic novel or a biography you’ve read and loved. This article was originally published in Michigan Prime, in November 2015. Ill never forget a certain elderly gentleman who showed up at one of the first memoir writing classes I taught at a local senior center, many years ago. 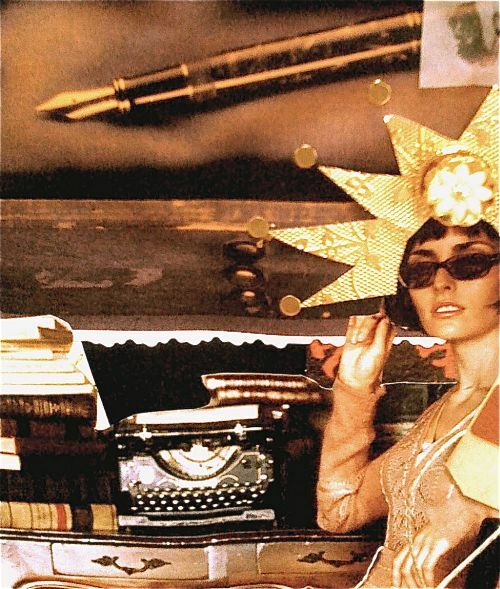 For starters, I explained that I wasnt a biographer â€“ and that nobody else can write our memoirs for us. And I wasn’t in the business of editing or ghostwriting. But I promised to help guide him through the process during our time together in the class. Written by heart — in our own words — our memoirs probably wont top the bestseller lists. But they could be the most valuable legacies we bequeath to our loved ones. Luckily, the gentleman with the grocery bags had saved plenty of evidence of a life richly lived. All he needed was the time and the discipline to spin it into a readable story. Whether your goal is to pen a book-length memoir or a few personal essays, its essential to understand the difference between autobiography and memoir. “Memoir isnt the summary of a life, its a window into a life, very much like a photograph is selective in its composition,” William Zinsser explains in On Writing Well: An Informal Guide to Writing Nonfiction (Harper Perennial). In other words, your autobiography would document your entire life, starting with, say, your first memory of nursery school and chronicling events up to the present. A memoir, on the other hand, would focus tightly on a peak experience or turning point, starting with, say, the brittle November afternoon your father was diagnosed with Alzheimers, or the day you quit your office job to work at a rodeo. Like the man with the grocery bags brimming with souvenirs, most new memoirists are overwhelmed by the thought of choosing which stories to share â€“ or where to begin. The following tips usually subdue their fears and help plow through writers block at various points along the way. Take small bites. Start with a series of short personal essays, each on a different experience. Gathered together, these could be expanded as chapters in your book. Be a family archaeologist. Unearth old memories while exploring keepsakes and heirlooms. Choose one item, then write about how you acquired it and what it means to you. Get cooking. Use a family recipe as a prompt and write the memories it stirs. My Scottish grandmothers shortbread recipe, for instance, is redolent of her old-country proverbs and family gatherings. Brush up your interview skills. Talk with elders in your family, asking them to share anything from a favorite love song to war stories. Use sensory detail and proper names. Turn to family photo albums if you need visual reminders of former homes, cars, and clothing styles. Avoid aimless rambling, no matter how poetic. Your memoir will be more engaging if it imparts wisdom or a life lesson. Let your stories reveal who you are. Read published memoirs; observe how other writers craft their work. Ask your librarian for recommendations. Polish your gems. Proofread your final draft to catch errors of fact, spelling or grammar. Show your work to friends or family members if youre worried about getting stories straight. Once youve committed a few memories to the page, youre entitled to feel proud of your accomplishment. Keep writing. 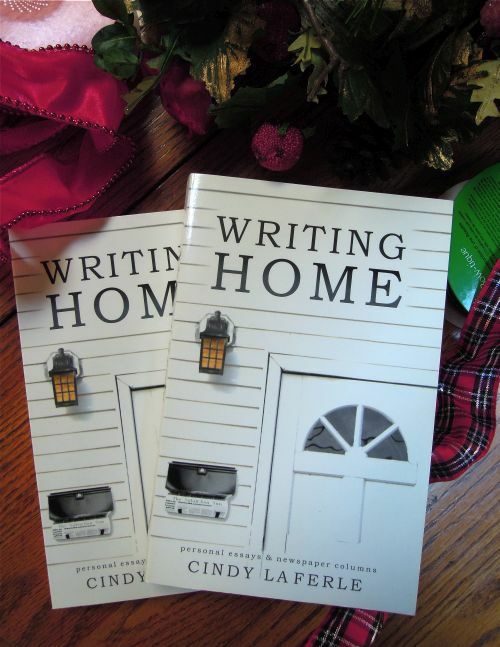 Now in its second printing and available on Kindle, Writing Home is a collection of my published magazine essays and family newspaper columns. 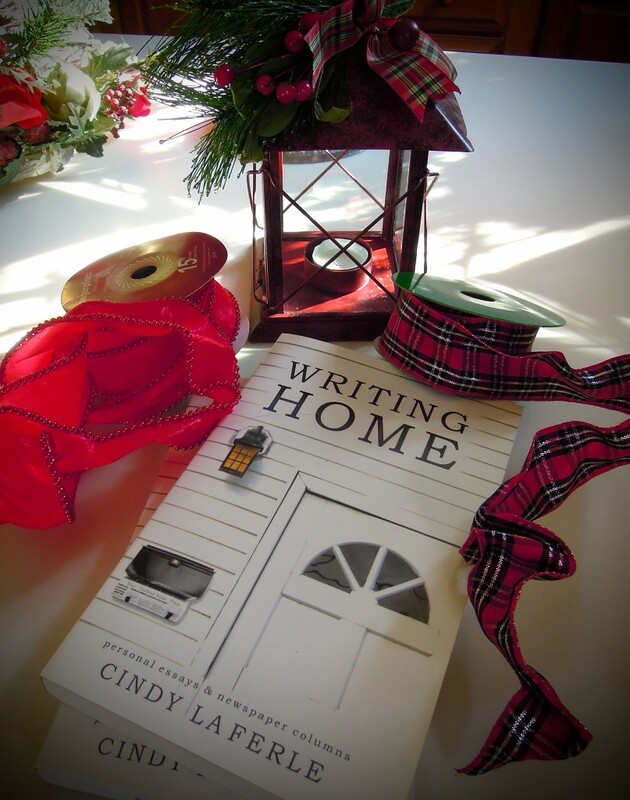 Awarded several prizes for creative nonfiction, it’s been dubbed “a love letter to home and family life.” If you enjoy my personal blog and current newspaper essays, you might appreciate this collection of earlier memoirs, too. To read excerpts, reviews, and the new introduction to the Kindle edition, please click this link and visit the book’s page on Amazon. To purchase Writing Home locally, visit The Yellow Door Art Market, where you’ll find a wonderful selection of other Michigan books and gifts for everyone on your list. Can we get too personal when we’re writing our memoirs or family stories? 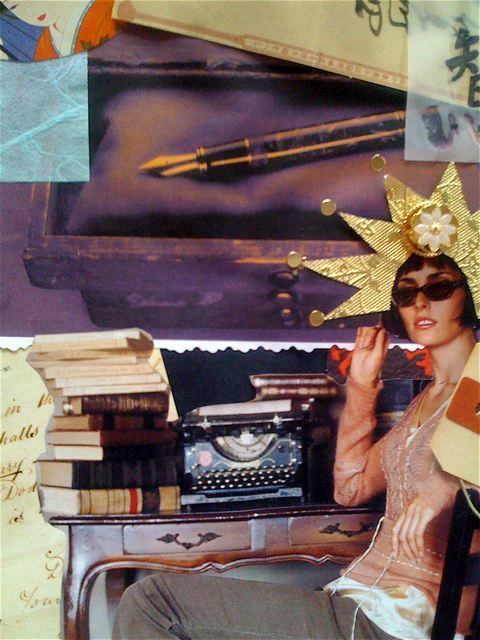 Is it wiser to stuff the hard emotional truth into a private journal and keep quiet? 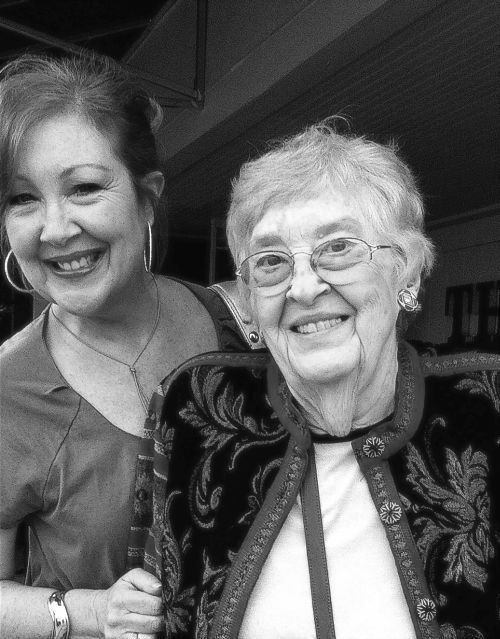 The dilemma hit home last week when I visited my mother in her new assisted living residence. On the table in her kitchenette was a fresh copy of Michigan Senior Living, a publication featuring a new column I’d written about my mother’s difficult transition to assisting living. Oops. It should go without saying that I didn’t intend for my mother to see it. 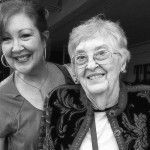 Focusing on the heartbreak of Mom’s battle with vascular dementia, the column was the most difficult assignment I’ve ever tackled. So I was relieved to learn later that my candid story helped many readers who are facing similar challenges with their parents. In any event, I have no idea how the magazine found its way to her apartment. My mother doesn’t subscribe to the newspaper that includes Michigan Senior Living as a supplement. As it happens, Mom’s vascular dementia has progressed to the point where she can’t process and retain new information. Not all that long ago, she’d devour decorating magazines and mystery novels faster than I could supply her with new editions — but she’s lost her ability to read much of anything now. Regardless, I discretely pulled the publication off her table and stuffed it into my tote bag. Having worked as a family newspaper columnist for years, I’ve wrestled with similar issues many times before. But this recent episode got me thinking about how risky personal writing can be — whether we’re writing about our parents, children, siblings, or in-laws. How much is too personal? If your relatives are named or clearly identified in print, Zinsser suggests, you may want to show them the pages in which they are mentioned. But be prepared for your family to ask you to remove anything they don’t like. The “wrong reasons” vary from writer to writer, so it’s important to question your own motives when you sit down to write. If youre hoping to commit an act of vengeance, for instance, youre definitely on the wrong track. On the other hand, if you aim to uplift, inform, comfort, or provide a service to your readers, your good intentions will shine through the most painful parts of your piece. In my own memoir classes, I often ask students to make a list of the most compelling memoirs and autobiographies they’ve ever read. Did the writers of those memoirs gloss over their most difficult experiences? Were their chapters free of conflict? Were the characters entirely noble, flawless, or problem-free? Probably not. Life is incredibly complex and messy, and no family is perfect. Even if you enjoy reading other people’s dirt and drama, you’re probably squeamish when it comes to sharing your own. And it’s entirely possible that you might be better off writing poetry or science fiction instead. But if you want to write an honest and richly detailed memoir, you will have to confront the hard truth as well as the soft. What do you think? Have you written anything about your family that you’d be reluctant to publish? How would you handle sensitive material? Then he went on to review four new memoirs to illustrate his points. Genzlinger was pretty brutal. Three of the four memoirs, he said, didn’t need to be written. Not only did I cringe for the three authors under attack; I took some of what he said personally. For starters, I’ve no doubt that Genzlinger would by bored to tears by my own book — a collection of personal essays celebrating ordinary family moments. And I suspect he’d advise me to discourage the students in my memoir classes to stop seeking publication. Admittedly, some of Genzlinger’s observations are fair. Bookstore tables and shelves are stacked and stuffed with countless memoirs written by authors who’ve survived cancer, endured domestic violence, raised autistic children, lost spouses or pets, built their own houses, or moved to the country to “simplify” their long-suffering suburban lives. Genzlinger doubts that there’s anything new to add to the genre of personal experience. Does this really mean that the rest of us leading ordinary lives have no right to write and share our stories? “If you didn’t feel you were discovering something as you wrote your memoir, don’t publish it. 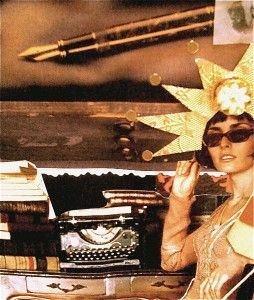 Instead, hit the delete key, and then go congratulate yourself for having lived a perfectly good, undistinguished life,” Genzlinger advised. This flies in the face of nearly everything I’ve told my students — and it certainly doesn’t do much to dignify blogging, a favorite second cousin of memoir writing.